Home All News Animals Woman Turns Rescued Shelter Dogs into… Rescuers! Woman Turns Rescued Shelter Dogs into… Rescuers! In 1995, 62 year old Wilma Melville and her black lab Murphy were deployed to the Oklahoma City bombing for search and rescue work. Devastated by the experience, Melville saw a national need to better train and increase the number of professional canine rescue teams. 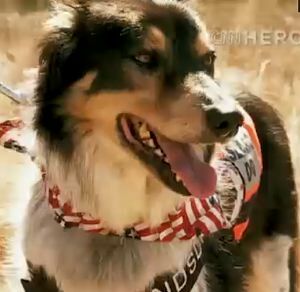 She founded the National Disaster Search Dog Foundation, a non-profit that partners shelter dogs with firefighters. The 131 FEMA certified teams trained for free, have deployed to 80 missions worldwide, including the World Trade Center on September 11th, the earthquake in Haiti, the tsunami in Japan and the tornado in Joplin.